Bloomberg just published an enlightening update on the never-ending saga of iPhone X delays. The report claims that Apple “quietly told suppliers they could reduce the accuracy of the [iPhone X] face-recognition technology to make it easier to manufacture.” We don’t yet know how much worse it will be, but the claim that Apple is skimping on quality in order to meet customer demand is a bit of a bombshell. As Jony Ive explained on stage at a New Yorker event earlier this month, Apple has been working on the Face ID technology for five years. The original prototype, he said, was about the size of a shoe box, and now, the company is trying to squeeze that same technology into a space on the iPhone X that’s no larger than a few toothpicks. The Microsoft Kinect, Bloomberg reports, is the only other piece of mass-produced hardware that uses similar technology, and that device is much closer to the size of a shoe box than an iPhone. Initially, Apple claimed that Face ID will only fail once in every million attempts, a huge leap from the 1-in-50,000 fail rate of TouchID. So even if the manufacturing tweaks bring the FaceID fail rate down to, say, 1-in-900,000, it’s still a huge improvement. 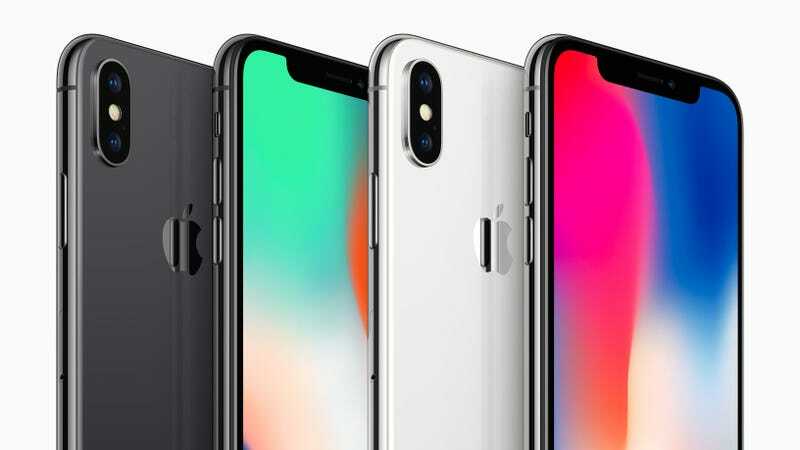 However, that doesn’t help Apple save face if the company still can’t keep up with demand for the iPhone X. Ming-Chi Kuo, a dependable Apple analyst from KGI Securities, predicted last week that only 2 to 3 million iPhone X units would be available for the device’s November 3rd launch. Kuo had originally said that 40 million iPhone X units would be available for the holiday season. It’s not hard to imagine a scenario in which Apple only has half as many iPhone X units as it was supposed to this year. Cynical readers may be thinking, “Boo hoo, not every precious fanboy gets to buy an overpriced, big-screen Apple phone the day the dumb things hit stores.” This sentiment is probably correct. Some people who want to buy an iPhone X in a few days will not be able to do so. This is not, however, a new phenomenon for Apple. Just last year, the company announced at the very last minute that its all-new iPhone 7 Plus would not be available for in-store purchase on launch day and that the all-new jet black iPhone 7 would be in very short supply. And you know what? The world still turned. If you’re one of those precious Apple fans pining for the iPhone X, you can try to preorder one at midnight on October 27. Try the Apple website, try your carrier’s website, and ask your friends to do the same. If all else fails, you can try waiting in line. It’s an iPhone tradition! Apple says it will have units available for in-store purchases in over 55 countries. You might just get lucky. If you don’t win the privilege of dropping a grand on an iPhone X next week, no sweat. Apple will gladly sell you an iPhone 8 for a few hundred dollars less.